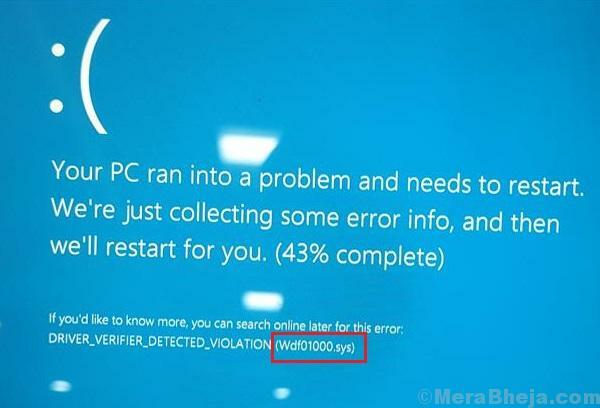 Many users have reported the Wdf01000.sys blue screen error while trying to install or run a program. The error also occurs while trying to load a specific driver. Wdf01000 stands for Windows Driver Framework 01000 and occurs when a new hardware or software is being installed in the system. This triggers the loading of the drivers associated with that specific hardware or software which causes this issue. Unlike most other blue screen errors, this one usually allows users to boot into the system. Try the following preliminary troubleshooting steps before proceeding to the more complicated ones. 1] Update Windows: While all hardware and software might not be compatible with Windows 10 at a given point of time, Microsoft would be pushing corrections in form of updates. Here is the procedure to update Windows. 2] Update drivers: Since the issues is with drivers, it is advisable to update the drivers (especially for the problematic hardware or software). 3] Scan the system for virus and malware using our anti virus software. 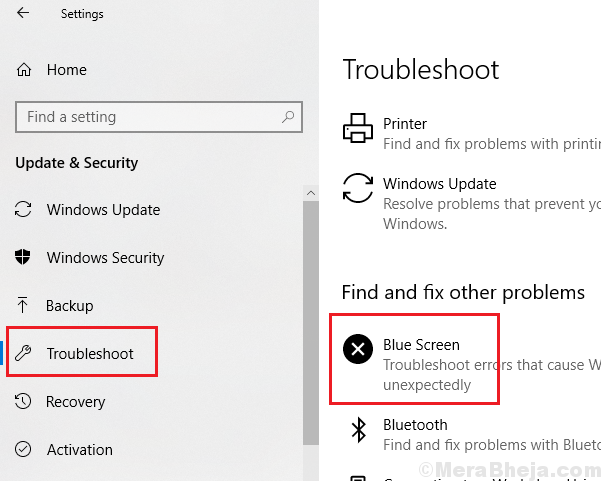 4] Run the Blue Screen troubleshooter. Go to Settings >> Updates and Security >> Troubleshoot >> Blue Screen. The Wdf01000.sys blue screen error could also be caused by missing files in the system. An SFC scan would be helpful in verifying and restoring this problem. Run a SFC scan on your PC. 1] Search for Command Prompt in the Windows search bar and right-click on the icon. 2] Select Run as administrator. 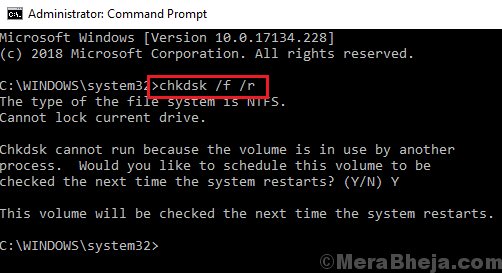 3] Type the command chkdsk /f /r in the administrative Command Prompt window and press Enter to execute it. 4] When they ask “Would you like to schedule this volume to be checked next time the system restarts?”, type Y and press Enter. 5] Exit the Command Prompt window and restart the system. Re-registering the wdf01000.sys file could help resolve the problem if the issue was with the file. 1] Open Command Prompt as an administrator as mentioned in Solution 2.